We have chosen dash cams under £50 for the budget dash cam category. If you are looking to purchase your first dash cam, or if you only need a camera for insurance purposes, budget cameras are the place to start. 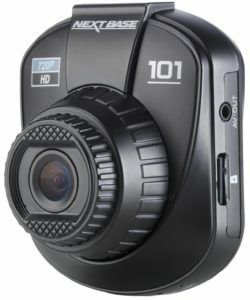 The majority of these cheap dash cams provide low quality video footage, and can have more reliability issues in comparison to the more expensive models. As well as this, low priced cameras are nearly always built in China and other Asian countries, where quality control is less regulated. For this reason, issues with overheating and faulty products are more common with these models. Don't let this put you off though, there are some good value for money dash cams to be found here. Toguard Mini Full HD Dash Cam - Although the recording quality isn't one of it's strengths, the Toguard has all the features you need in a reliable dash cam, and a free 16GB Micro SD card as a bonus. Although it's 2.5 inches wide, the Toguard Mini is very easy to use, with only six buttons on the back and an easy to use suction mount. 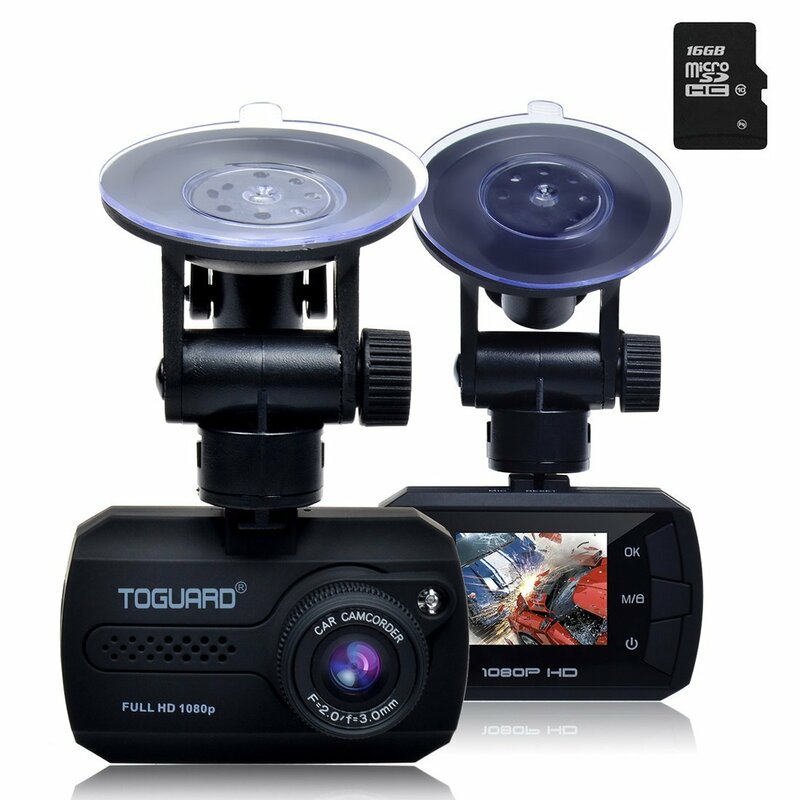 If you're looking for a basic dash cam to lower the increasing insurance prices, this Toguard dash cam is a great pick. Nextbase 101 Dash Cam - The 101 is the cheapest and most basic dash cam from Nextbase. The video quality is among the best in this price bracket, at 720p HD. The built in G-Sensor automatically protects important footage, while the 2 inch screen allows you to easily play back video. The 120° viewing angle picks up an adequate area in front of the vehicle, but can struggle to pick up all lanes of a motorway. For an entry level camera though, this is one of our favorites, as the camera is supplied by a reputable company, Nextbase. This means the quality control will be superior to cheaper cameras, and reliability should be one of its strengths. 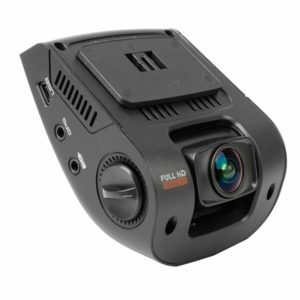 Rexing V1 Dash Cam - The Rexing V1 is at the top end of the budget price bracket, but this has a large impact on the quality. This dash cam can record at 1080p Full HD, with a 170° Viewing Angle. Unlike other budget cameras, the Rexing V1 comes with two Self Adhesive pads, allowing you to permanently fix the mount to the windscreen. The result is very stable recordings, and the ability to clip the camera on or off the mount with ease. We found this camera the easiest to set up, and preferred the quality of the footage over the cheaper cameras. It handles low light recording very well in comparison to other cameras of this price. Amacam AM-M80 Dash Cam - The AM-M80 is a decent little camera for it's price, with the emphasis on he word "little". 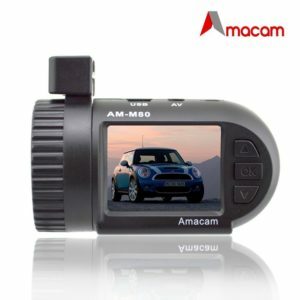 Advertising itself as a miniature dash cam, the Amacam AM-M80 offers to provide a inconspicuous camera with decent video quality. Be warned, the resolution was advertised at 1080p, but this has since been removed from the description. We believe this camera records at 720p, as the Novatek NT96220 has a 1.3 mega pixel sensor, less than the 2.1 mega pixels required for 1080p, but the quality isn't stated on the website. With this being said, many people have had good success with this camera, and the seller offers a 1 Year Warranty. 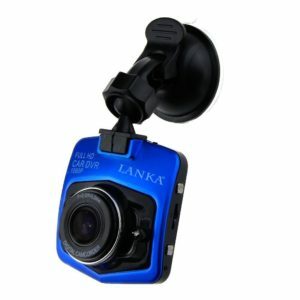 Lanka Dash Cam - By far the most popular camera on this list, we've added the Lanka dash cam at the bottom. This is very similar to the Toguard dash cam, with the main difference being the branding stamped on the product. It is very difficult for us to make any claims regarding this camera, as there have been plenty of people who loved it, and many who hate it. The Lanka dash cam currently stands around 4.5/5 stars on Amazon, and is one of the cheapest dash cams money can buy. If it is all you can afford at the moment, or if you aren't too bothered about video resolution, purchasing the camera isn't a terrible decision. The video quality is pretty poor, but we would say it is the minimum required to be fit for purpose. We've heard several claims that the Lanka dash cam is prone to overheating, so make sure to remove it from your vehicle when not in use. Overall the value for money is very good, so if you are new to dash cams or just want something for insurance purposes, this camera should do the job. You won't get anything better for under £20. Most of the budget dash cams are manufactured in China, Taiwan and various other Asian countries. Because of this, there is little regulation by the countries' government, resulting in poor quality control. This can result in poor reliability, or receiving faulty products. All of the dash cams we display are on sale at Amazon. If you have any issues with items purchased through this website you need to contact Amazon, and they will resolve it. Although Amazon have a great returns policy, we always recommend purchasing from a reliable brand. Checking the reviews on Amazon can be a great way to determine the quality and reliability of a product. Even though you may be tempted by the cheap prices, you get what you pay for with dash cams, in terms of both video quality and reliability.